With color (aqua) and design elements reminiscent of Art Deco, Jack and Mary Ann's kitchen was ready for an overhaul of epic proportions. 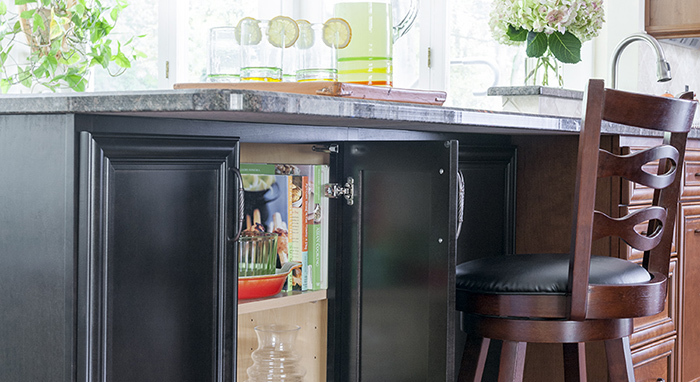 With oodles of home design magazines in hand, Mary Ann didn't let the dated details deter her. 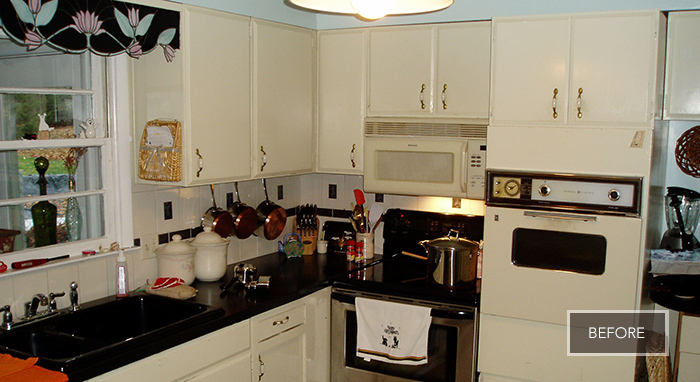 Inspiration struck in the form of a cherry and black kitchen she had pulled from one of her many magazines. 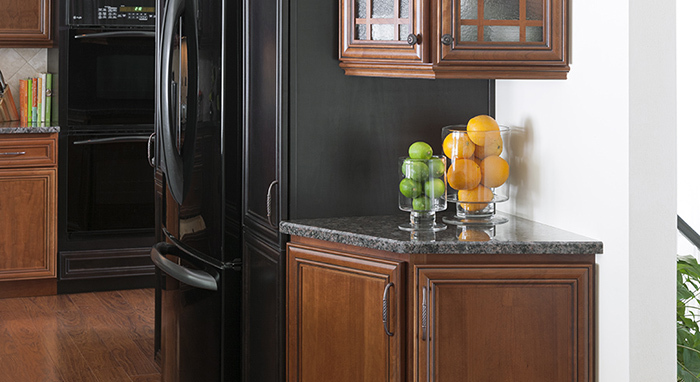 But as much as this modern kitchen design lifted her spirits, she couldn't see her already dark interior kitchen getting anything but darker with these cabinetry color choices. And then along came Clem Poteran of Kitchen Concepts, Inc. And down came a wall. 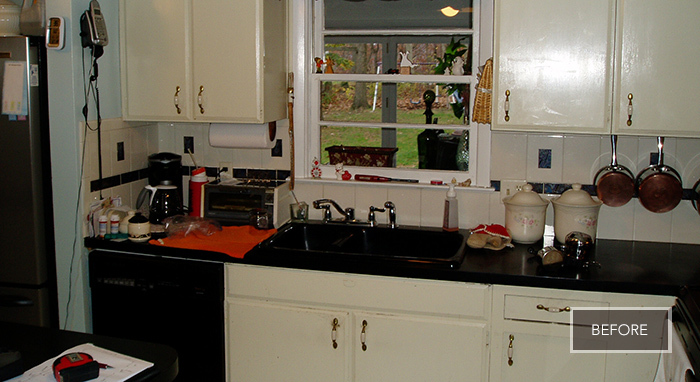 Poteran saw past the confines of the current kitchen and flipped the whole kitchen design layout around. Suddenly, instead of feeling closed in, the kitchen opened up with the back yard as a backdrop for all their entertaining. 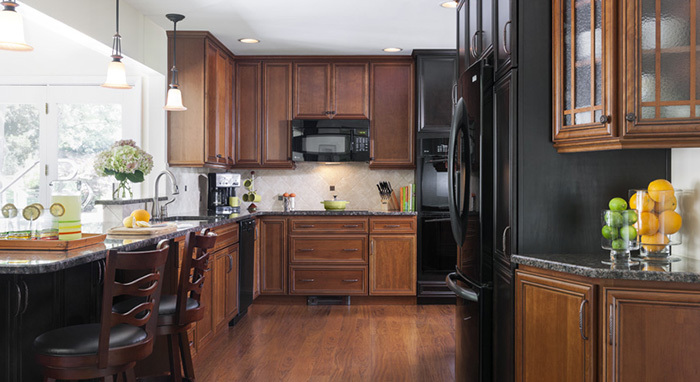 Mary Ann would still have her rich, dark cherry and maple kitchen cabinets from Homecrest Cabinetry, but now natural light would warm and brighten the whole space. 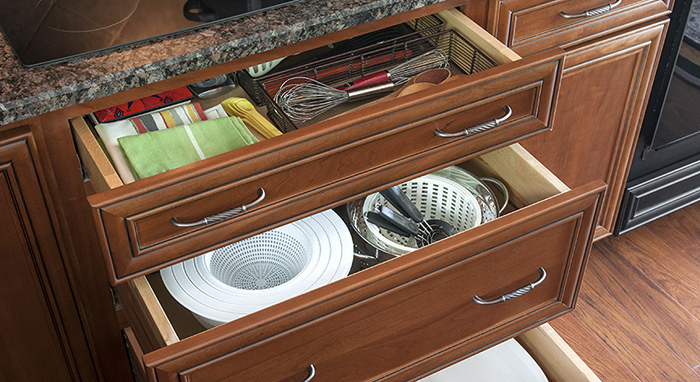 With deep drawers and tall cabinets, there's room enough for their serving pieces, and expanses of countertop to chop and prep on, including a long, wide kitchen peninsula overlooking the yard. 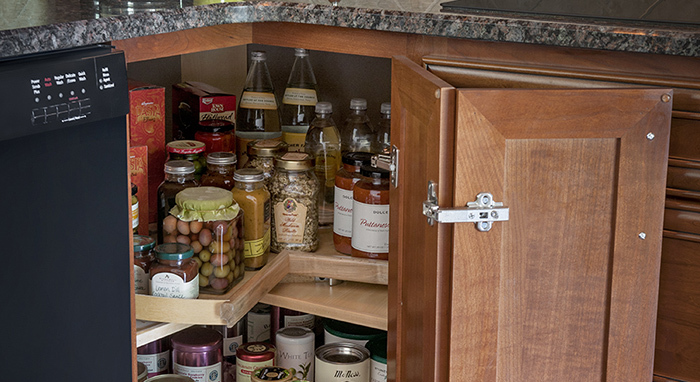 Suddenly, what had been cramped quarters for cooking is now the place everyone wants to be. So even though it's just Jack and Mary Ann, friends and relatives near and far gravitate to this spectacular new space. What’s next? Perhaps an epic cooking challenge or maybe just taking in the sunrise over a freshly brewed cup of joe.